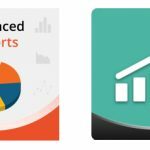 We have already gathered all the best RMA Magento 2 extensions here: The Best RMA Magento 2 Extensions; and appropriate Magento 1 modules can be found in this post: The Best RMA Magento Extensions. Today it is time to explore Magento 2 RMA extension by Aheadworks – the extension that is mentioned in both digests. Below, we will recollect its core features and describe extension’s backend and frontend functionality. If you want to master all RMA aspects within your store with the help of a single solution, you have come to the right place. The Aheadworks Magento 2 RMA module provides both customers and online store admins will straightforward and user-friendly process for managing RMA requests. The extension offers an intuitive submission form for convenient RMA request creation. Even guest requests are possible with this RMA tool. The module has a separate store page for providing this opportunity. Due to the two-way notification system, both your admins and customers will always know about any changes: each RMA step is marked by a status change that can be supported by optional notifications. It is also necessary to mention that Magento 2 RMA extension adds custom fields to a request creation form, so you can easily get business- or product-specific information. Note that there is even a direct customer-to-administrator communication area in each RMA request tab! The RMA extension enables Magento admins to create and manage new return requests in the backend. All the details related to a request can be viewed on the order view page. Furthermore, you can create canned responses for sending quick messages to customers during the RMA process. As for general settings, they provide the ability to specify the return period as well as set up other various parameters. You can even insert CMS blocks at different stages of request submission. Another great feature of the Aheadworks RMA module is its responsive design making RMA request forms look great on any device and screen. Besides, you can use the extension’s migration tool to quickly transfer data from the Magento 1 RMA tool to Magento 2. As you can see, the Aheadworks RMA extension brings ecommerce merchants full control over return merchandise authorization, making each step of return requests processing straightforward and easier to manage. Moreover, you can significantly save your time using the RMA auto-approval option. 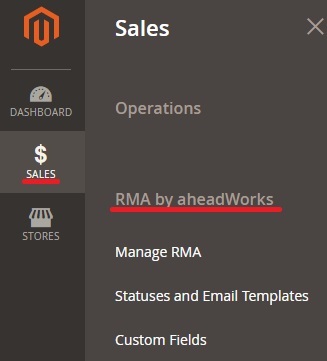 Aheadworks RMA is available under Sales -> RMA by Aheadworks. Click on a request number to manage the request. The Manage Request screen contains 4 tabs: General Information, Products, Customer Information, and Rma history (conversation between your customer and administrator). In the General Information tab, you can view the following information: status, last update, order number, resolution, package condition, test customfield, new, and breaking (bad or good). In the Products tab provided by the Magento 2 RMA extension, you can see the name of a product, its SKU, price, quantity to be returned, quantity in stock, total paid, reason of RMA, closed or broken, and MMA, as well as modify the number of products you will return. The tab with customer data illustrates customer name, email, shipping address, and group, shows the date when he or she became a customer of your Magento website, and displays total purchase amount of previous orders and their number. In the Rma History tab, you can use a text field to write messages to your customers (Reply) or admins (Internal Note) and attach files to your message. On the Statuses and Email Templates screen of the Magento 2 RMA extension, you also have a grid that consists of 5 columns: ID, Name, Email to Customer, Email to Admin, and Message to Request Thread. Available statuses are: Pending Approval, Approved, Package Sent, Package Received, Issue Refund, Closed, and Canceled. Each status page is divided into 3 sections: General Information, Frontend Labels, and Templates. The first section contains the status name; the second one is used for specifying the name that will be displayed for various store views. The Templates section lets you activate/deactivate email notifications for customers and admins and choose email templates for each group of recipients. Besides, you enable/disable and specify a message to a request thread here. As for custom fields, in case of the Magento 2 RMA extension, they are listed in a compact grid of 5 columns: ID, Name, Field Type, Refers To, and Websites. Each new custom field contains the following options: Name (the name of the custom field), Field Type (Text Field, Text Area, Dropdown, Multiselect), Refers To (Request or Product), Admin Can Edit On (a few available statuses). Next, you should select available status conditions for the ‘Customer Can View On’ and ‘Customer Can Edit On’ settings. 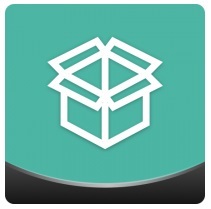 Other General Information settings are: Required Field (specify whether it should be required or not), Display on Shipping Label (Yes/No), Display at Websites (choose store view). The Aheadworks RMA extension also allows creating canned responses that can be managed in the relevant grid. The grid consists of 6 columns: ID, Title, Status, Created, Modified, and Action (Edit or Delete). When adding a new canned response, you will need to enable it and create its title and content. 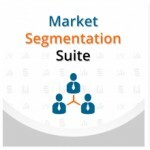 As for general settings, they are divided into 5 sections: General, RMA text blocks and Policy, Contacts, Email Notifications, and File Attachments. In the General tab of the Magento 2 RMA extension, you set return period, enable/disable guest RMA requests, specify “Confirm Shipping” alert text, and enable/disable automatic approval of new requests. As for RMA text blocks and Policy, you choose various blocks here: Guest RMA page block, Product selection page block, Reasons and details page block, and Policy Block. In Contacts, you specify RMA Department name, email, and address. In the Email Notifications tab, you set email templates for replies by admins and customers. In Allow Attachments, it is possible to enable attaching files by customers to their request submissions, specify the maximum size of uploaded files in Mb and allowed file extensions. It is possible to see each request or create a new one with the Magento 2 RMA extension by Aheadworks. When viewing a request, a customer can update the information, add a message and attach files to it to send to an admin. In the Manage RMA Request page, there is a block with Status, Resolution, Test Customfield, New, Order Date, Order number, and customer address details. Next, there is information about ordered products: name of an item, its price, quantity, and the reason for RMA request. Two other elements on this page are a text field for replies and history of all messages. To create a new return with the Magento 2 RMA extension, your customer should select orders and included products he or she wants to return. Then, a customer chooses the resolution (refund or replacement), the package condition, and the reason for the return. Next step is to leave a message, if necessary, before submitting the request. Aheadworks offers a reliable tool for controlling the return or exchange of items sold to customers. As you can see, the Magento 2 RMA extension provides all the necessary features that essentially simplify RMA routine for both admins and customers. You can purchase RMA Magento 1 extension for $159. Note that there are such additional services as Installation (+$55), Priority Support (+$99), and extended support (+$48 for 180 days and +$64 for 360 days). Aheadworks RMA Magento 2 extension costs $349, and Installation, 90 days of support, and Personal Account Manager are already included in this price. You can extend the support up to 180 days for additional $105 or 360 days for $140. Note that Aheadworks offers 50% off for Magento 1 clients.